Sheltra Run Volunteer Sign-Up: Richard Sheltra Memorial Run - 2019 Volunteer Roll Call! 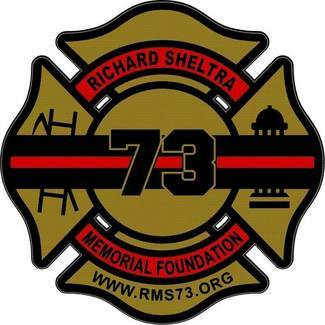 Richard Sheltra Memorial Run - 2019 Volunteer Roll Call! The 2019 Richard Sheltra Memorial 10k, 5k, and 1-mile fun run is two months away and we need your help to make the 2019 race just as successful as last year! Thanks to so many of you who have already raised your hands to volunteer your time. Please review the volunteer options attached and enter your contact information along with whichever option you select. First come, first served! Rest assured, there are still opportunities to help in meaningful ways. On behalf of Richard Sheltra's family and the Richard Sheltra Memorial Foundation, THANK YOU FOR YOUR SUPPORT! This is the HEART of the Sheltra Run. Volunteers will assist with vendor/expo setup/takedown, race registration/donations, crowd herding, and being masters/mistresses of ceremonies (anthem, prayer, start & finish, awards ceremony). An exercise in communication and maximizing use of parking lot spaces near the starting line, this group will be in constant communication with the race coordinators. CHEERLEADERS, COURSE GUIDES and WATER STATION managers in the McCullough neighborhood - Primary responsibility is to ensure that neighborhood traffic is successfully re-routed AROUND the runners with minimal headache and maximum safety/enjoyment of all!